Stay compliant with all RSA & DVSA roadworthiness legislation using Assetminders built in maintenance planner. Simply plan your fleet maintenance, schedule automatic email reminders and allocate jobs to be carried out with either internal or external maintenance providers. Completed tasks with costs are automatically stored against your vehicle. Take the paper out of workshop management. Simply allocate jobs to your fitters, they can either scan the jobcard or clock on directly via their smartphone or tablet (no typing required), your fitters time and parts used are automatically added with costs against the asset building your invoice (internal or external), once the job card is signed off your accounts package is updated and a copy of the transaction automatically goes against the asset history. Provide fitters with detailed work instructions created from standard job lists. Attach pictures, manuals or files to job cards. Track fitter time, parts and supplies consumed. Add completion notes and even print to paper. Automate email notifications to fitters. Make and reuse lists of task or procedures. A fleet maintenance & compliance planning system which automatically schedules inspections and maintenance based on pre-defined parameters, generates and distributes automatic reminders via SMS, email or letter, and distributes reports for transport planning, detailing vehicles due for their DVSA test, service, maintenance or inspection. Assetminder’s mobile fitter software gives you complete access to all the tools you need from your laptop or tablet. Quickly scan an asset barcode or QR code to pull up the asset record, and create a jobcard while you’re on location. The completed jobcard automatically updates the main Assetminder system and when you are back in coverage. 24 x 7 secure access to vehicle or asset maintenance history from any browser, ensuring 100% compliance at all times. Manages stock returns, warranty replacement, low stock triggers, sales orders, purchase orders & invoicing whilst providing full reporting functionality. A secure portal allowing 3rd party contractors provide real-time updates of work completed whilst updating the vehicle history file. It also can give them visibility of the maintenance planner in order to schedule their resources. Real-time data means the vehicle is available for use immediately on completion of work by contractors. Assetminder will integrate with most accounting systems including Sage & SAP. It will also integrate with most telematics systems and fuel management systems. Assetminder offers a library of standard maintenance management reports or use the report writer to unlock all your maintenance data to create actionable custom reports. Automatically generate and send reports at regular scheduled intervals. Create custom printable list views of assets, job cards, schedules and more. Manage all tyre related activities from purchasing, fitting and trips to removal and refitting. 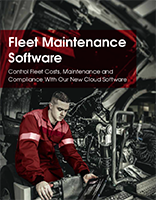 Maintains a full audit trail of tyre life cycle and associated costs. Helps streamline purchasing of tyres and provides analysis of tyre usage trends. Customisable, DVSA compliant, electronic inspection software which runs on PCs, tablets & smart phones. Easy to use, add photos & text, integrates with 3rd party workshop systems. Drivers can carry out daily inspections of their vehicle on a smart phone. Completed driver inspection reports are transmitted to a central console, automatically updating vehicle history. Defect reports are flagged & uploaded to the maintenance planner & scheduled for repair. Integrating barcodes into a stock room will enhance the parts inventory management process resulting in more accurate stock counts, reduced data entry, and enhanced work order completion times. Completed driver daily check reports are uploaded to a central dashboard, for management review. Outstanding reports are flagged for follow up, whilst defect reports are uploaded to the planner and scheduled for repair or replacement. Workshops can provide secure online access for their fleet customers to their complete vehicle history in realtime. Customers can access their vehicle information via a web browser, no additional software is required. Customers can also access their maintenance & inspection schedule through the portal. Store all key information relating to accidents including: driver, vehicle involved, date, time, location and any police involvement. Record information on damage details, repair quotations and photos required for insurance claims. Accident information can be allocated to job cards. Report trends on accidents by driver, vehicle or day. Manage all information about your drivers; licence details, accident history, endorsements, average MPG, etc. Keep detailed records including custom fields, photos and documents. Set reminders for important dates like license renewals or drug tests. Assign drivers to vehicles and maintain assignment history. If a part needs to be replaced within the warranty period, an alert is raised & a request for a credit note can be sent to the supplier. Warranty returns are recorded & managed, resulting in significant savings on replacement parts. Send automatic reminders regarding scheduled maintenance or inspections to external and internal parties via email or text message. Assetminder can be integrated with fuel data systems. Payment of invoices by cash/credit cards can be recorded at point of sale. Assetminder’s Business Intelligence engine is a flexible, business intelligence and data visualisation tool that includes integrated dashboards, reporting tools and data analytics, all in one platform. You can create interactive, customisable dashboards, build your own reports, run ad-hoc queries and analyse and drill-down into your data and performance metrics.